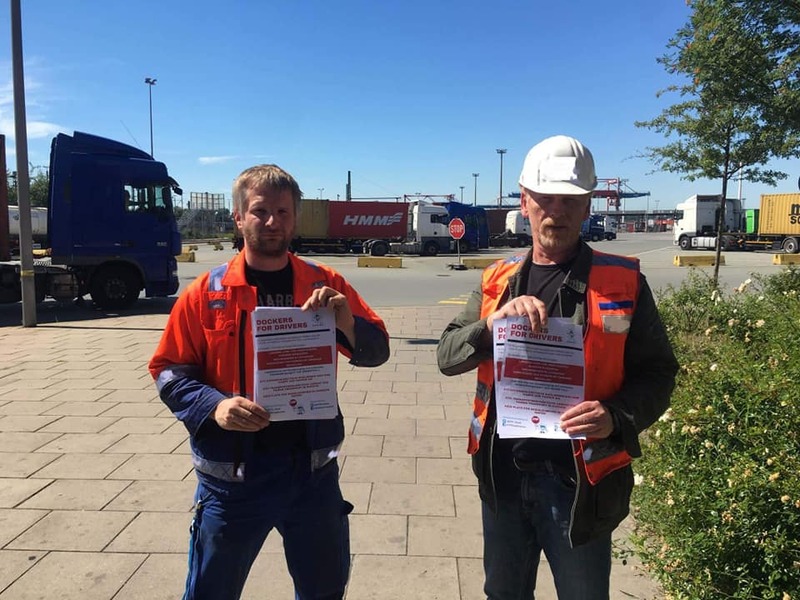 As the European Parliament was voting down the reports on the mobility package, ver.di dockers at the Eurogate Hamburg container terminal continued their actions in support of the ETF Road Transport Section by informing drivers on the dangers of the proposals under discussion. 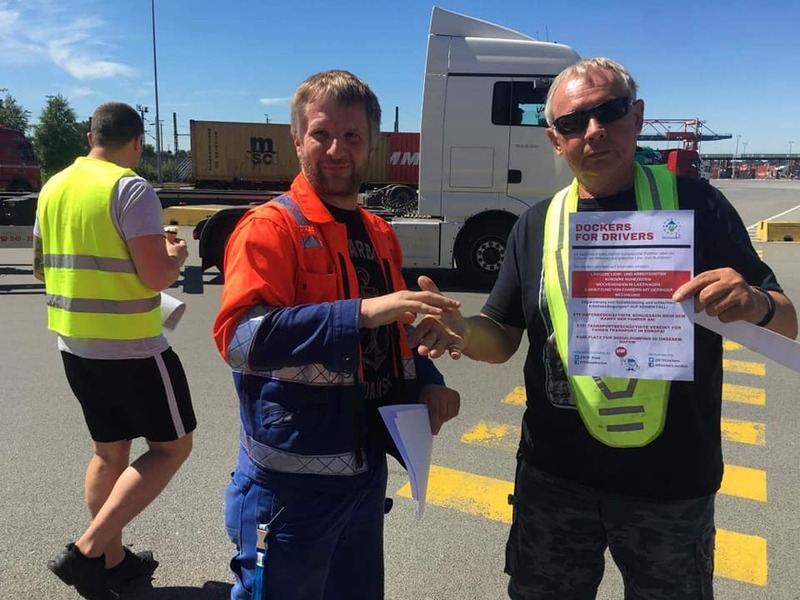 There’s no space for social dumping in our ports! 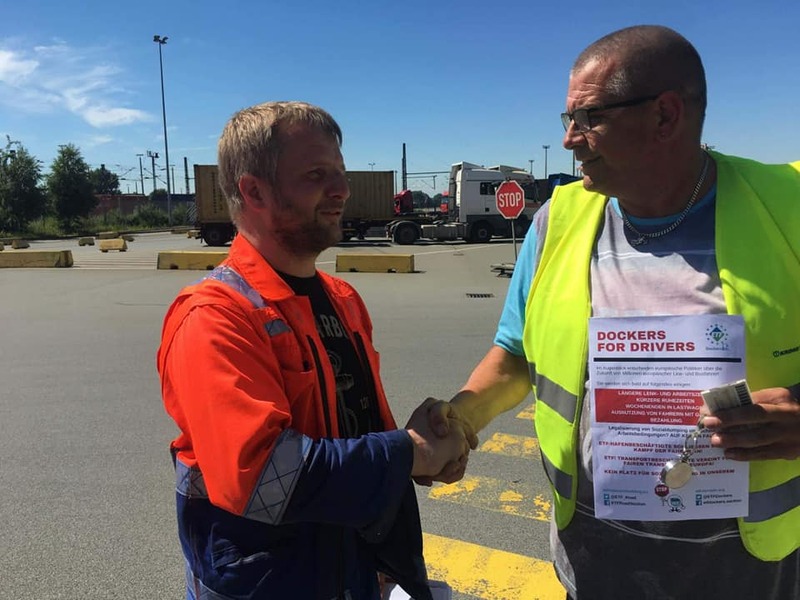 Fair Transport is built on solidarity among all transport workers.